Witchcraft, occultism, paranormal science, and mysticism are growing like plagues in the Western world. These phenomena have baffled modern educators and conventional rationalists, since such activities seem to be completely opposed to everything that the public schools have taught for over a hundred years. 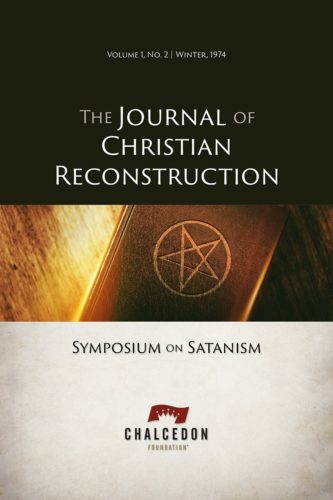 Worst of all in the minds of conventional secularists, all this discussion of demonic forces may lead to an even more appalling conclusion: the idea that God, also a supernatural force, may reappear in the modern, "post-Christian" world. At all costs, a God who can make himself felt in time and on earth must be avoided. Mysticism is one thing—totally internalized—but supernatural forces are not supposed to have any impact on external, so-called phenomenal affairs. Occultism is another form of humanism. It is the product of the quest for power apart from God and His law-order. It was not a major force in the so-called "Dark Ages." Not until the fifteenth century did witchcraft become a serious problem in Europe, and it was the Renaissance, not medievalism, which sparked the great explosion of demonism and magic in the sixteenth century. During the period of the early Middle Ages (A.D. 500-1000), there were practically no signs of witchcraft in Europe. Only with the revival of ancient Gnosticism and the invasion of Middle Eastern dualism did signs of widespread witchcraft reappear. Occultism and humanism are not sworn enemies; they are first cousins. It was only the influence of Christian principles, which laid such stress on the orderliness of God's universe, that made possible the confidence of modern rationalists in denying the influence of supernatural forces. As the confidence in creation-law has waned in this century, "rational" humanism has become increasingly unsuccessful in retarding the expansion of occult humanism. 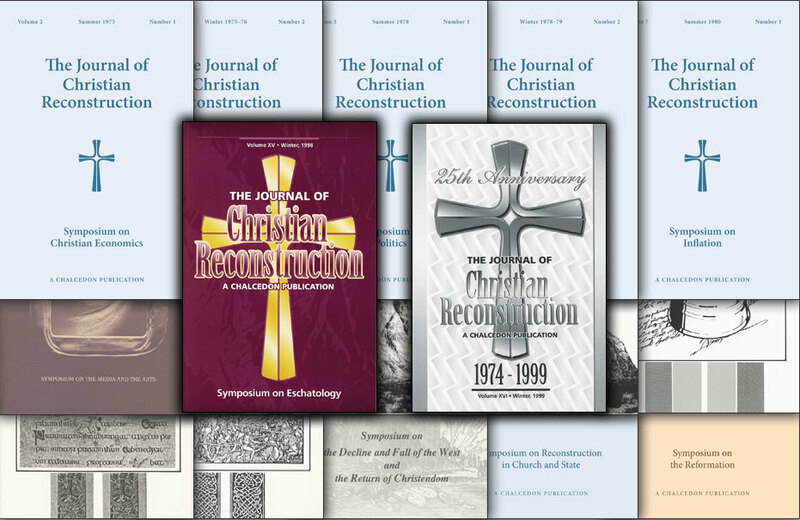 This Journal of Christian Reconstruction offers readers the necessary evidence for a refutation of the familiar charge that occultism and religion necessarily go together, and that only a hard-headed rationalism can restrain the forces of spiritual anarchy. Far from retarding occultism, modern rationalism's blindness to the reality of occult forces is now creating a perverse inquisitiveness on the part of modernism's children, who have learned to be critical of everything, including old-fashioned rationalism. The philosophy of the "open universe"—closed to God—has produced the new occult experimentalism. If anything except Christian orthodoxy might be true, why not find out through personal observation and experiment? Since 1965, the Western world has faced the greatest explosion of occultism that it has seen in three hundred years. This time no one can blame orthodox Christianity: it has been the secularists who have wielded the power. Greg L. Bahnsen, (1948-1995), was an ordained minister in the Orthodox Presbyterian Church and a full time Scholar in Residence for the Southern California Center for Christian Studies where he taught Apologetics from a distinctly Reformed perspective. Bahnsen was a pillar of the Christian Reconstruction movement begun by Rousas John Rushdoony and wrote and spoke frequently for Chalcedon in the 1970’s. Bahnsen was a leading proponent of theonomy, postmillennialism, and presuppositional apologetics. His 1985 debate with atheist scholar, the late Gordon Stein, was dubbed The Great Debate, and remains a classic as well as a benchmark in Christian apologetics. His early death came as a result of complications following his third heart surgery in December of 1995.